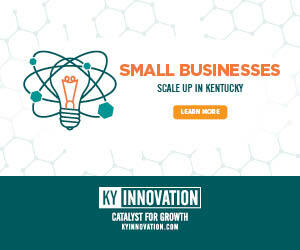 LOUISVILLE, Ky. (Jan. 11, 2018) – You’ve proved you know how to shop local for holiday gift giving, but now let’s talk business. Where do you buy your printer paper? Who does your taxes? How do you market your service or product? Do you shop local for these services also? An upcoming event will give attendees the chance to ‘walk the talk’ and find quality, local vendors for their business purchases. 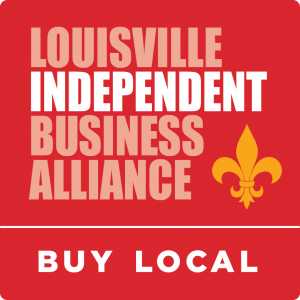 The Louisville Independent Business Alliance (LIBA), an organization with over 900 members of local and independent businesses, will host the 3rd Annual Louisville Local Business Expo on Thursday, Jan. 25 from 1:00 p.m.-6 p.m. at the Mellwood Arts Center’s Picasso Room. The Expo will showcase over 50 local and independent “Business to Business” companies, giving business purchasing decision makers the opportunity to explore local options for their needs. Admission is free with a business card, and the first 150 people to register online will receive a “Local Love” gift bag. The event will also feature “TED” style talks and a local business owner panel discussion to inspire business owners on their road to success. Drawing from his work as an author, songwriter, teacher, and nonprofit Deputy Director, Joe Manning will discuss what he has learned about how the creative impulse can lead the way to both personal discovery and significant community engagement. Derek Peebles is trained in the principles of Asset Based Community Development, an approach that maintains you can’t have enduring economic and social change by building on a community’s brokenness. You must begin with a community’s strengths. Entrepreneurship and independent businesses are one of those strengths. Derek is the Director of Economics of Compassion Initiative and Managing Partner for a small business consulting firm in Cincinnati, OH. Derek led a workshop for LIBA last fall in West Louisville and will continue in 2018. This is your chance to learn about this revolutionary model of community development. A new national survey of independent retailers from the Advocates for Independent Business finds that shifts in the retail sector are playing out differently for independents than they are for chains. This panel discussion will feature findings from this survey and include longtime local independent retailers. Hear about successful practices and how they position their business to compete against the online giants. Making a shift in our purchasing habits can have big effects on our local economy, keeping more dollars circulating locally. This applies to our personal and business decisions. A market shift of just 10% to local independent businesses would retain an additional $416 million in our regional economy, which helps all of Louisville businesses. The event is sponsored by Total Office Products & Service, Broker House Lending, Commonwealth Financial Advisors, LLC, Louisville Public Media, Streamline Payments, Tilford Dobbins & Schmidt PLLC, Snookie’s Kookies | ELM Catering, Real Tek Solutions, Unified Technologies, along with C&H Audio Visual Services, Inc., Evan Williams Bourbon Experience, eyedia, design it again, Hatfield Media, KIW Insurance, LLC, Living Spaces by Lyn, Louisville Magazine, Phoenix IT, TKM Financial Services, LLC, USA Printing & Promotions, VeriCorp and WAKY Radio.